Labor coalition welcomes lower tax on personal income but rejects regressive impact of excise taxes. This is surely a welcome development. But for the labor coalition Nagkaisa, the workers' gain in Personal Income Tax (PIT) will be offset in a regressive manner by the imposition of excise taxes on fuel products and the lifting of VAT exemptions in the sale of specific goods and services. 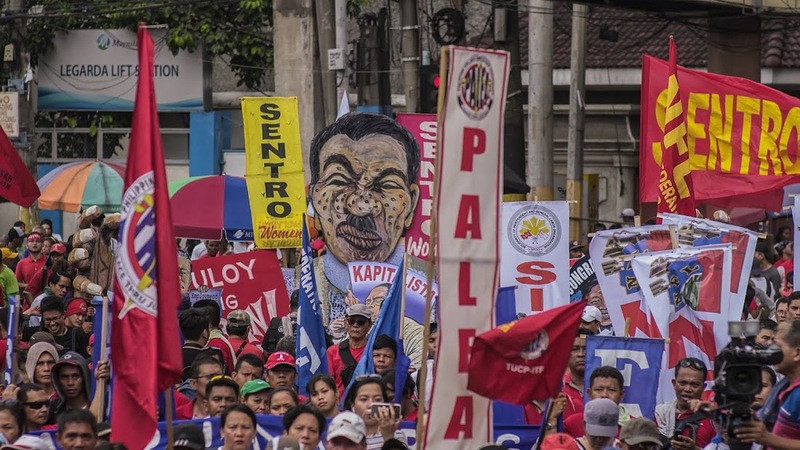 "Everyone knows, not just workers, that it will increase prices of goods and services that would affect mostly the poor and those at the lower income brackets," said Nagkaisa spokesman Renato Magtubo. Magtubo said the TRAIN's objective of shifting the tax burden from the poor to the rich, "Seems to be scheming if not tricky as forgone revenue on the side of the government, which is equivalent to individual savings derived from lower PIT of specific income group, shall be recovered in a universal manner through excise taxes and expanded VAT." The group explained further that the tax base can never be expanded through exemptions in PIT and corporate income, making indirect taxation through excise taxes and VAT expansion the main strategy in generating new and more revenue. "Otherwise, nobody is going to pay for the lost revenue," added Magtubo. Under TRAIN's package 1, a P3.00-P6.00 excise taxes will be imposed per liter on fuel and P10 for locally produced sugary products while several VAT-exempt products and services will be lifted, including cooperative income exceeding the P3 million thresholds. Likewise, sale of real estate for socialized housing will now be covered by VAT. "An increase of 43 and 22 per cent respectively may mean nothing for the richest 20% who got significant savings from PIT exemptions. But a 35% increase is surely a burden for the bottom 80% who includes the majority in the formal and informal sector, employed and unemployed, of the working class. In the same manner everyone will be paying for the direct and indirect impact of excise taxes on fuel," explained Magtubo. The labor leader added that those living in SPUG areas which rely on diesel as their single source of power will be absorbing a "minimal" impact, according to DOF. But that would mean additional P84 for those who consume 100 kWh per month and P106 for those who consume 300 kWh. "These are the immediate impact that will hit everyone while the poor wait for the promised transfers contained in the proposed expenditure programs of the government," said Magtubo. "Our main question for this is why a tax rate on corporate income, which is supposed to be a tax on profit, is being lowered down to the same level of personal income which is a tax on labor? A uniform rate on business and personal income can never be considered progressive taxation," concludes Magtubo."